The site covers 124 acres and is home to 1.5 million graves. Some stops are more or less obligatory. 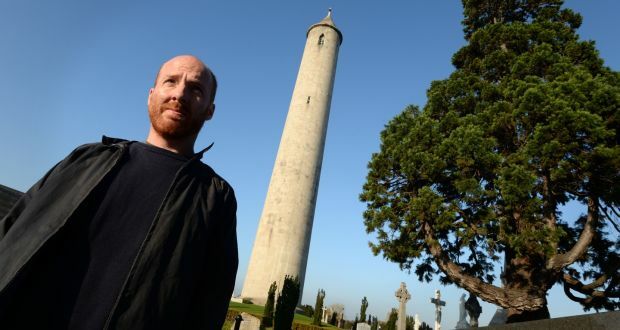 No recreational visit would be complete, for example, without seeing Daniel O’Connell’s tomb, the cholera pit where Charles Stuart Parnell was laid to rest, or the grave of Michael Collins. Information and entertainment are of equal importance, says Dodd. But historical truth can be difficult to pin down. As we walk he points out the grave of a man whose epitaph says he fought at the Battle of Trafalgar. In fact the record shows that he did no such thing. At the museum a tour guide named Bridget Sheerin is attempting to train a group of transition-year girls on work experience from St Louis High School, in Rathmines in south Dublin, as tour guides. Sheerin emphasises content, body language, hooks – anecdotes, jokes or surprises – and projection. Students tend to have good content, she says, but sometimes fall short in projecting their voices clearly and confidently. Each girl has been asked to choose a grave and deliver a short monologue about the person buried there. Lauren has chosen Collins. Her research is excellent, but, two metres away, I can’t always quite make out what she’s saying. Saoirse talks about the life of Grace Gifford. She’s concise and to the point. Sorcha talks about Elizabeth O’Farrell, the woman who carried a white flag “of surrender but not defeat” at the end of Easter Week. After lunch Sheerin invites me to speak in front of the paid-for tour group arriving at 2.30pm. The students had three weeks to prepare. I have less than 30 minutes. I have an idea who I’d like to talk about, but I’m not even certain that he’s buried in the cemetery. I check the records and confirm the location of his grave. The tour group is a mix of tourists and Irish people. One couple, from Castlerea, in Co Roscommon, tell me they’re on their way home from holidays. They saw One Million Dubliners on the plane and decided to stop in on their way from the airport. I lead the group to the grave of Ernie O’Malley, the Mayo-born medical student turned IRA commander, memoirist and intellectual. Sheerin gives me a much more effusive introduction than I would have liked, telling the audience that I’m writing a piece about tour guiding for the newspaper, and promising that I will inform, entertain and amuse them. Actually, I’ve hastily cobbled most of what I’m about to say from Wikipedia, where jokes are at a premium. I ad-lib along the lines that, as a Mayo man and a rebel, O’Malley was likely descended from Grace O’Malley, the pirate queen, who was a thorn in the side of Elizabeth I.
I have no idea if he was or wasn’t. But as information it seems at least as reliable as saying that Connolly and Countess Markievicz spent Easter Week making sandwiches. As per Sheerin’s instructions I divide the group in three – left, right and centre – and direct my attention to each section in turn. In terms of keeping the audience’s attention it certainly doesn’t hurt that O’Malley tended to find himself engaged in epic gun battles on a near-daily basis. I’m a little nervous, which is to be expected. What’s more surprising is how emotional I begin to feel speaking about O’Malley. A man who could have had a comfortable life as a GP but who chose instead, like so many others buried here, one of service and hardship. A man who faced danger without flinching, who endured torture but never gave up his friends, just so that ordinary gobshites like me might have a fairer shake at life. Remembering him here, even if it’s only for a few minutes, even if there are only 20 or so gathered at his graveside, is a moving experience.